You cannot get any more pop-up London. 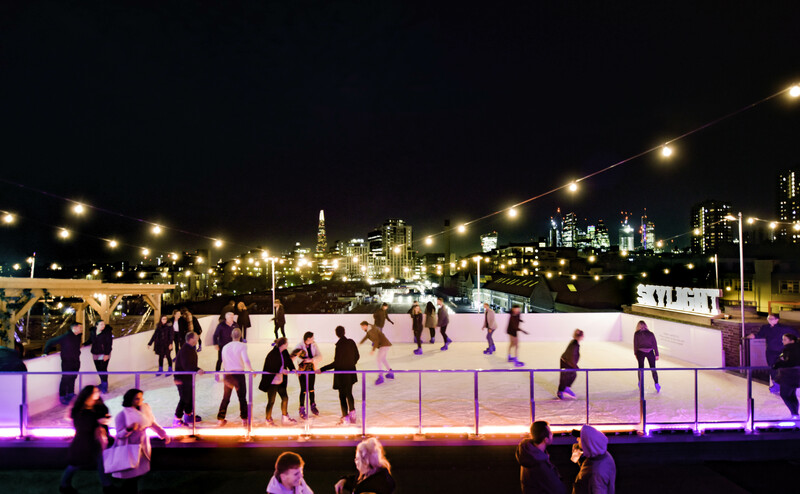 Enter through a carpark in Shadwell’s Tobacco Docks – reminiscent of notorious scene bar Franks in Peckham – out onto a rooftop with an ice rink backed by the city skyline. Two bars overlook the ice skating. One is warm and tempting, red-lit to draw you in through the glass walls overlooking the rink. 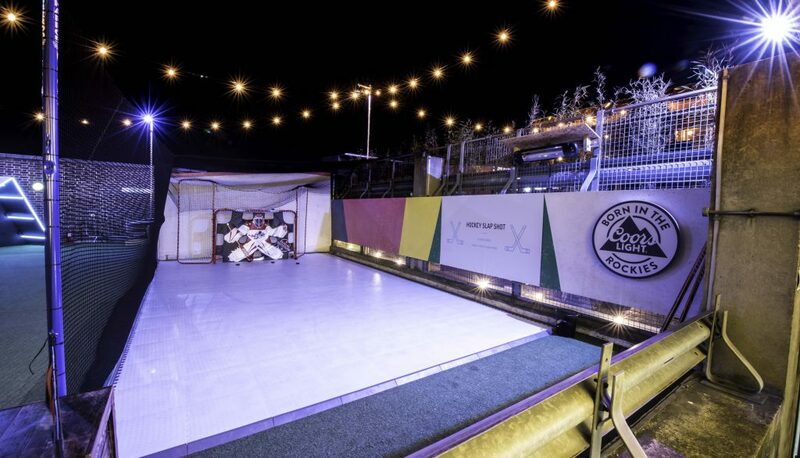 The other is outside and up close to the ice skaters – good for the spectator sport – under a canopy of twinkling fairy lights. The view really is to boot with Shard rising up strong against the city skyscrapers. The food is on a lower level of the carpark. Walking down the ramp the smell of food punches, rather than drifts, out and leaves you in no doubt of what’s on offer. Melt Fondue provides the mountain favourite: Emmental and Gruyere melted in a pot with crusty bread to dip comes in four sizes. It’s better value than what you’d get on the slopes of a ski resort as well, priced between £9.50 – £24.50. And because it’s England chips are on the menu with the oh-so-tempting option to add a dollop of fondue – posh cheesy chips! To complete the fondue full circle, chocolate is on the menu too. Chocolate fondue is £7 per person with fruit to dip. The other food stand has everything else you’d expect to find at a cool pop up; Smoked tofu burgers and Halloumi fries make sure the veggies fill up and a Korean beef brisket bibimbap, chicken souvlaki gyros and miso red cabbage slaw feature next to the ultimate Christmas burger. 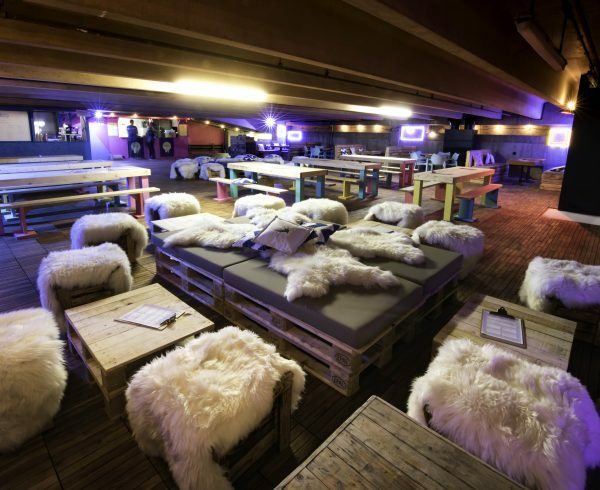 There’s mulled wine for the après-ski scene and seasonal cocktails for city sophistication. The drinks are quality and the cocktail list is interesting, served well with extra decoration in the plastic glasses. Try the Autumn Sky for a different, sweet long cocktail to accompany that melted cheese. 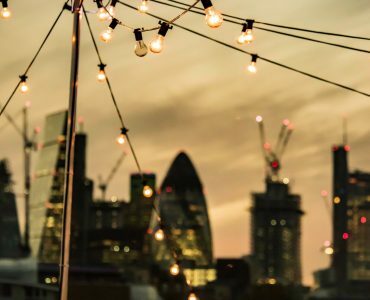 At £8 a cocktail you are not cheated, as can be at festive events. 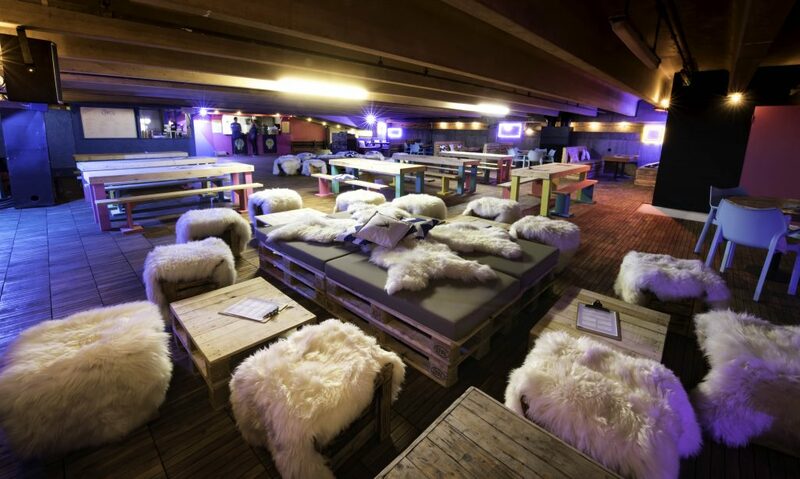 The food floor has fur-covered stools and low relaxed tables to complete the Alpine feel. 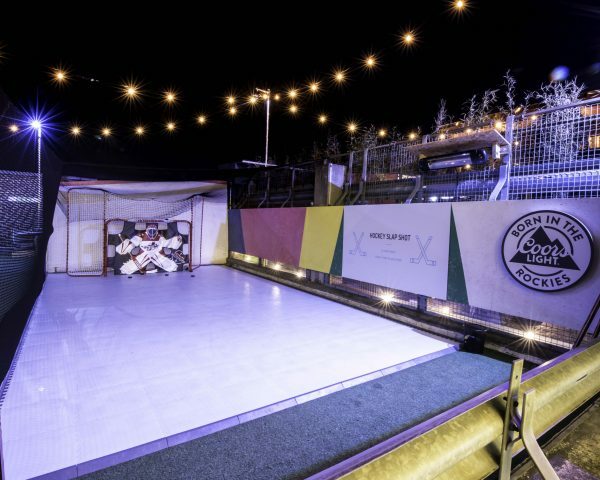 Other activities, if you need more than skating or spectating, include ice hockey shooting practice. There is a cosy atmosphere, despite being open air and wintry. There is a real ski resort feel too, if you’re missing the real deal… Shadwell might be a random, harder-to-reach place but is not this a feature of these kind of events? A destination to get to that offers a private, worthwhile and magic reward on arrival. 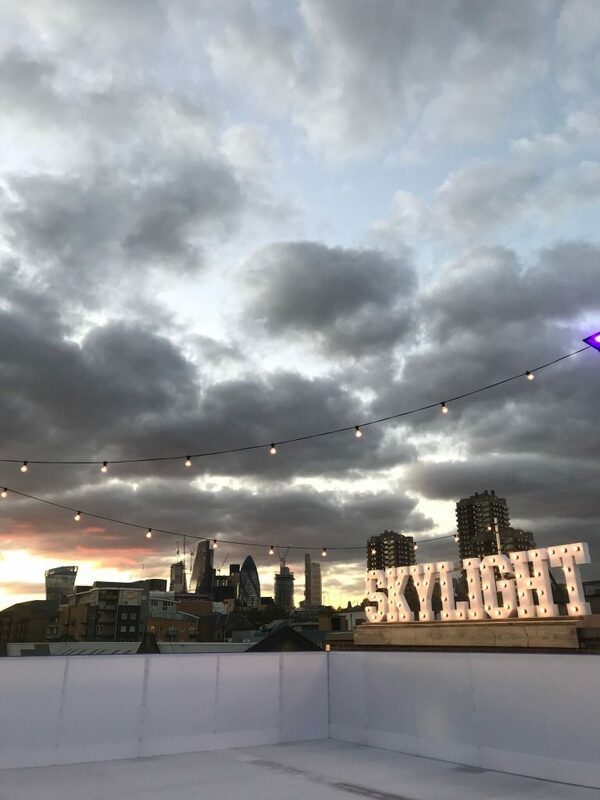 Skylight is a city winter wonderland treat, and a good alternative to Hyde Park Winter Wonderland. 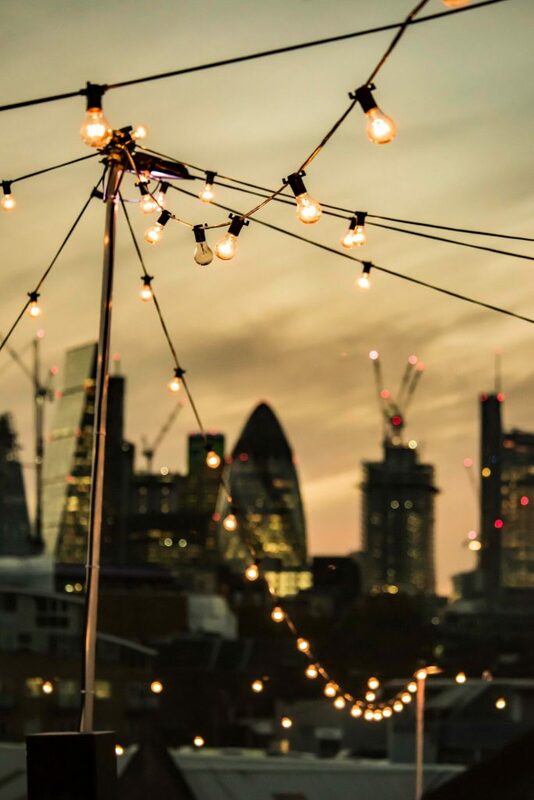 It’s not a day out; it’s small, more relaxed and a good place to go with a friend if you are East for a different London evening to the pub. 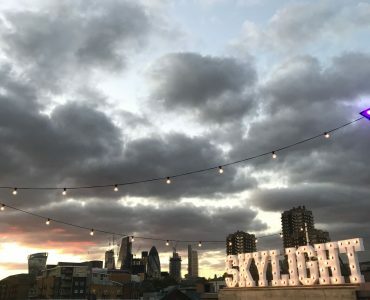 Entry is free and Skylight is open until 11pm. Winter Season Closing Saturday 13 January 2018.